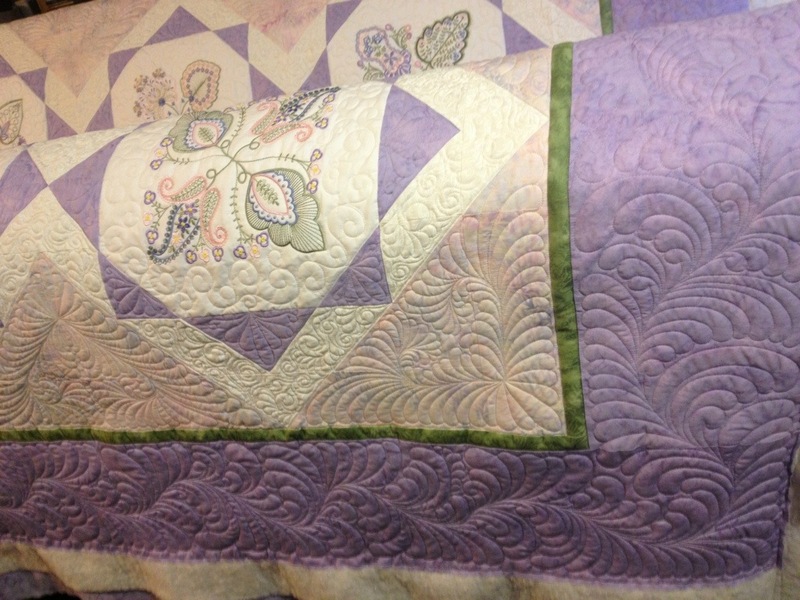 I finished the quilting on the guild opportunity quilt, I haven’t taken time to show how it looks with the quilting. I did lots of feathers on it. I knew I wanted feathers in the purple points around the center block. After doing all the purple pointed areas, I put in a background fill of just random stuff. 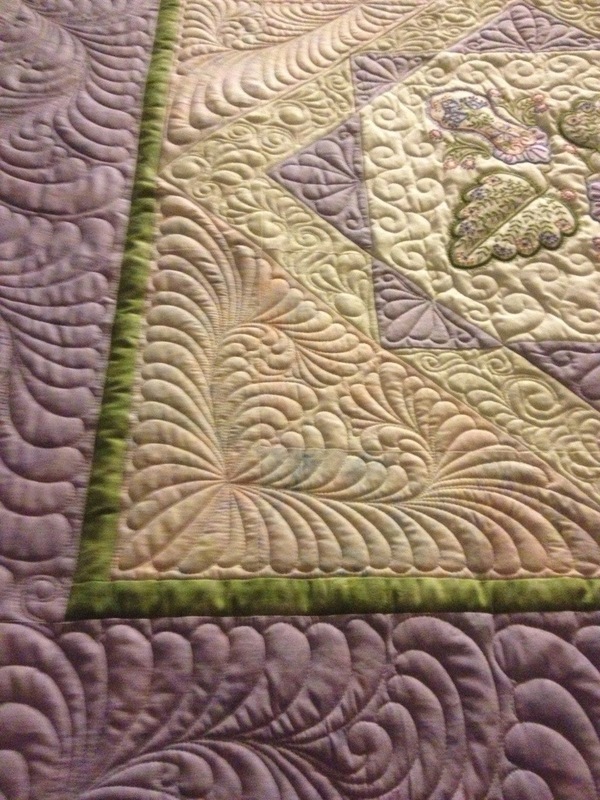 I did the outside border next because I knew I was going to run a continuous feather all the way around the quilt. 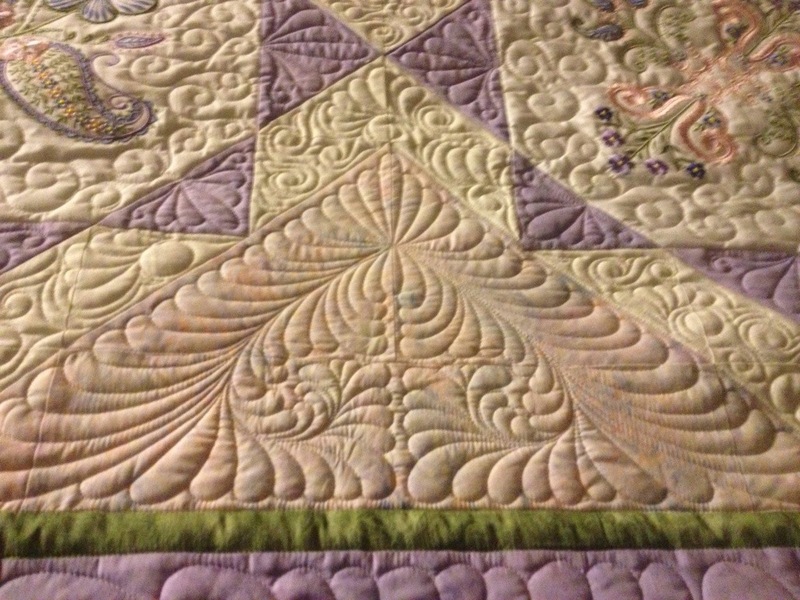 That left only the side setting triangles left I quilted and I wasn’t sure what to put in those areas. 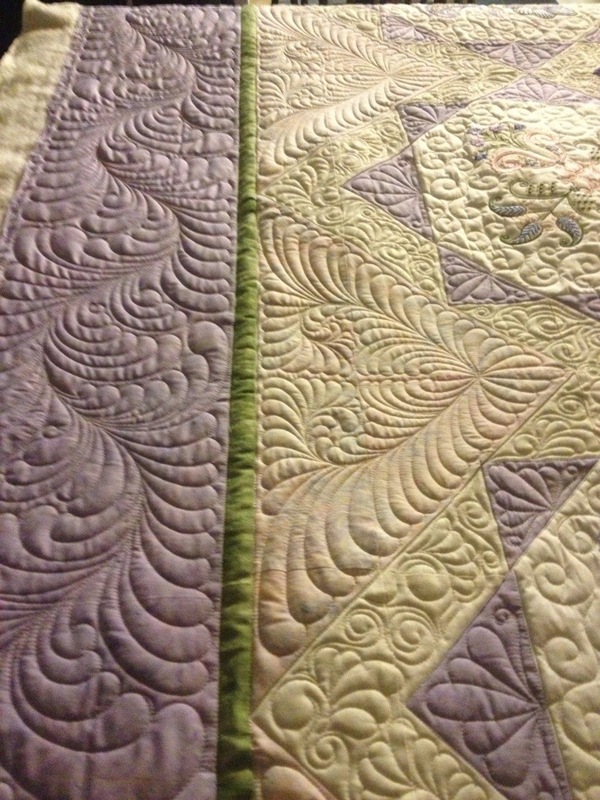 Finally I decided that since I love quilting feathers……..yep, I put feathers in them! LOL!! Anyway, I hope you enjoyed seeing the pics. 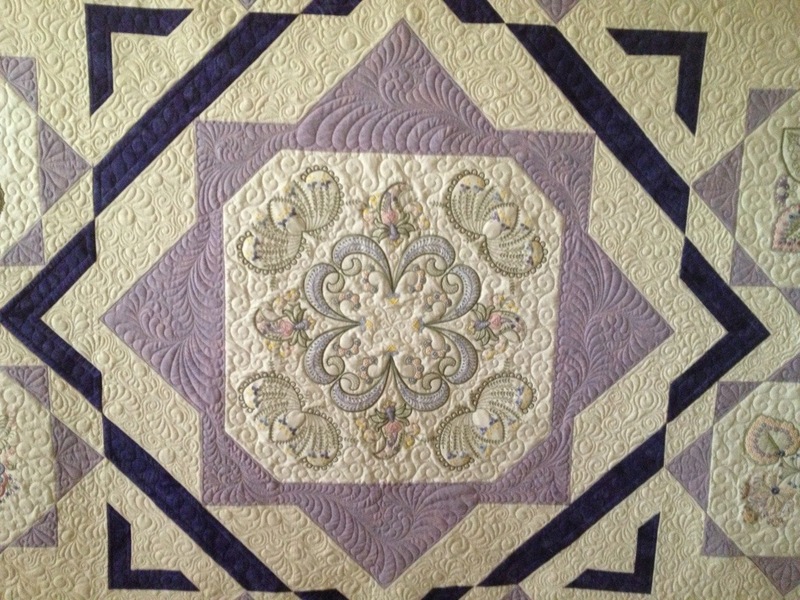 Ticket sales were great at our quilt show last weekend. The drawing is in November. I hope I win!! LOL!!!! !